I hope you enjoyed the new collection sneak preview last week! 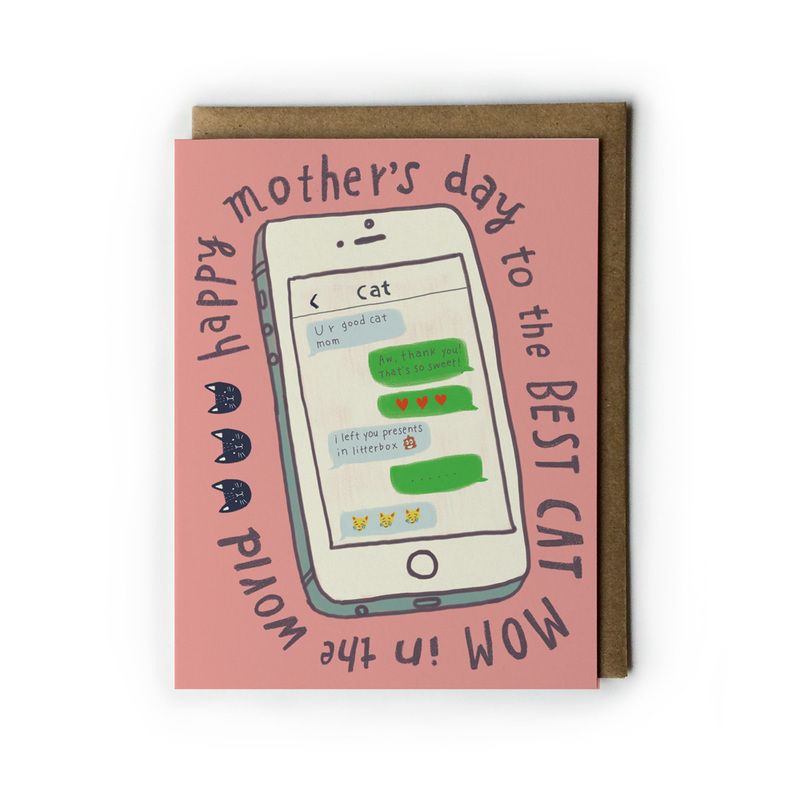 I already have dog dad and cat dad cards in my shop, so I’m excited to add a cat mom card this year! This design was born out of a doodle I made in my iPad on the couch one night. 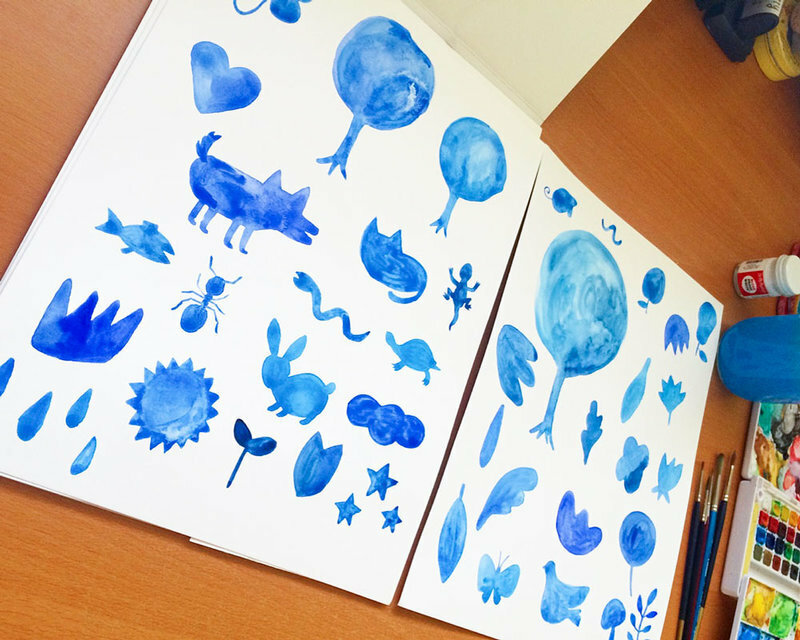 You create awesome stuff when you’re relaxed and just playing, no? 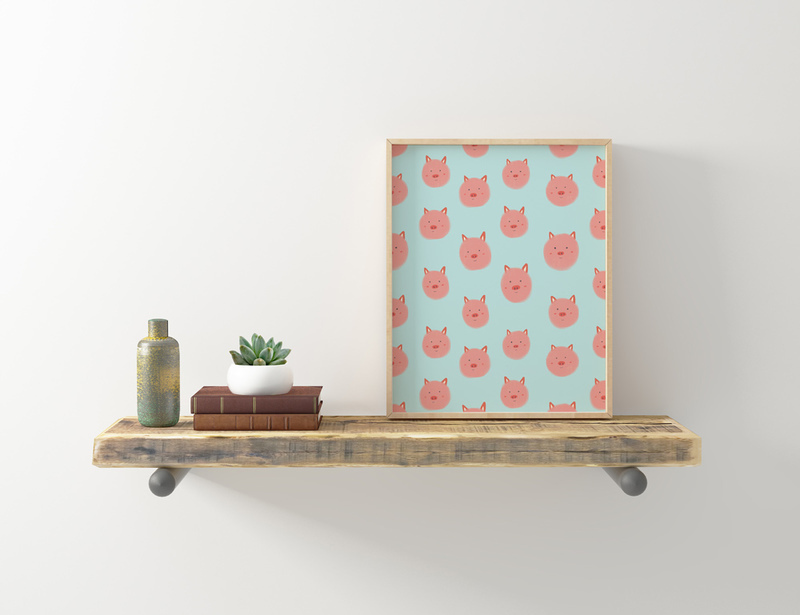 Little Piggies will also be available as archival giclee print. 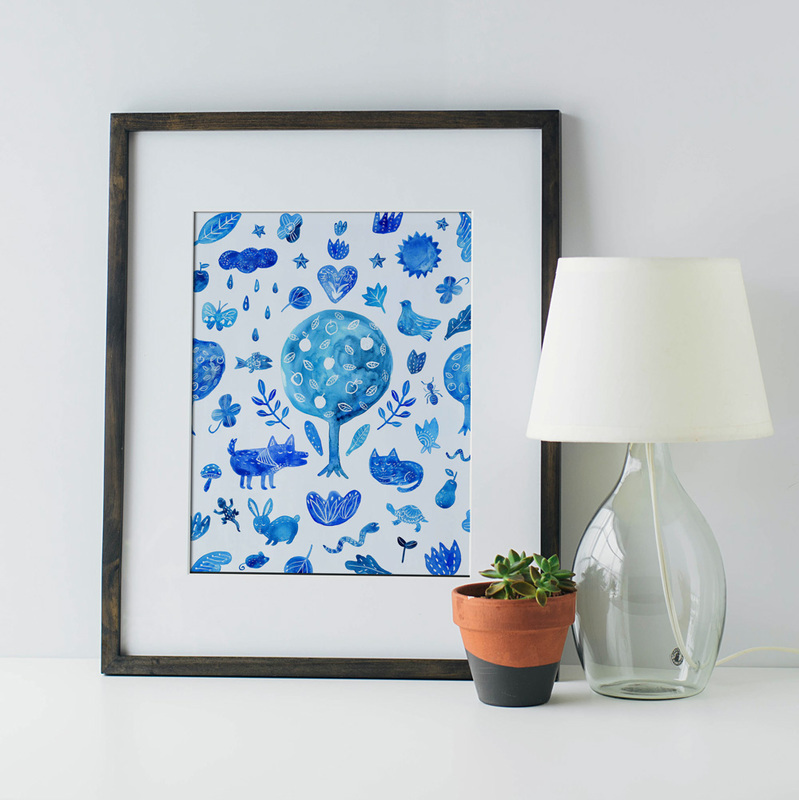 You can get it in my Spoonflower fabric shop a little later, too. Oink! 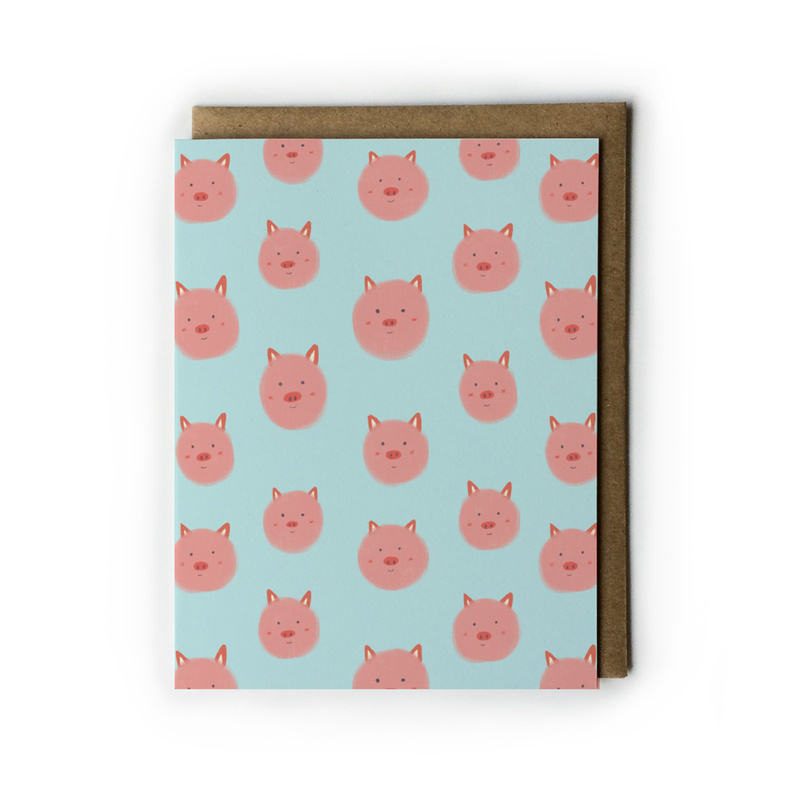 I’ve been meaning to create a pet sympathy card for a couple of years. If you’ve ever lost a pet, you know it hurts so bad. Animals you connect with – your relationship can be so healing and nurturing. They just look at you like you’re the coolest thing even if you’re feeling crappy about yourself. 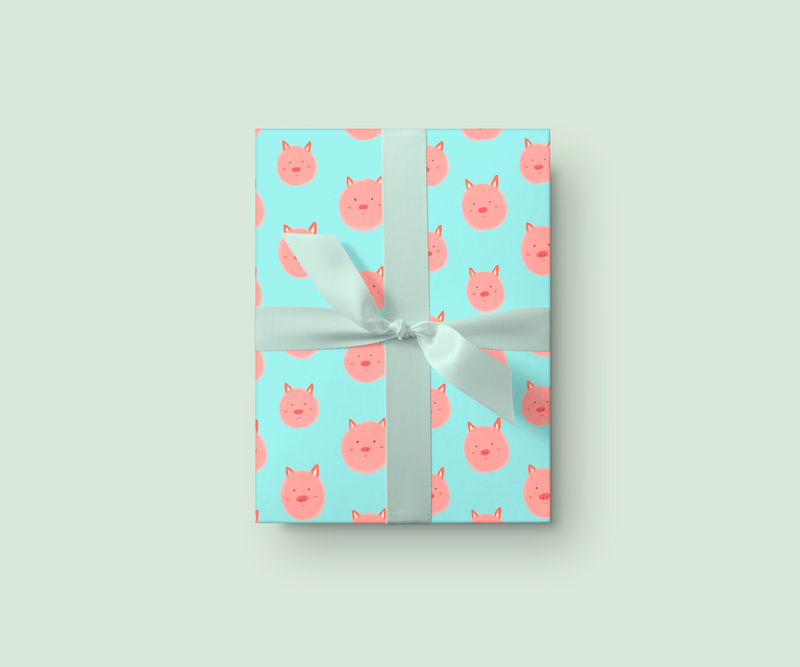 I was going to incorporate a pet sympathy message in the design at first, but I came to love the design without it. 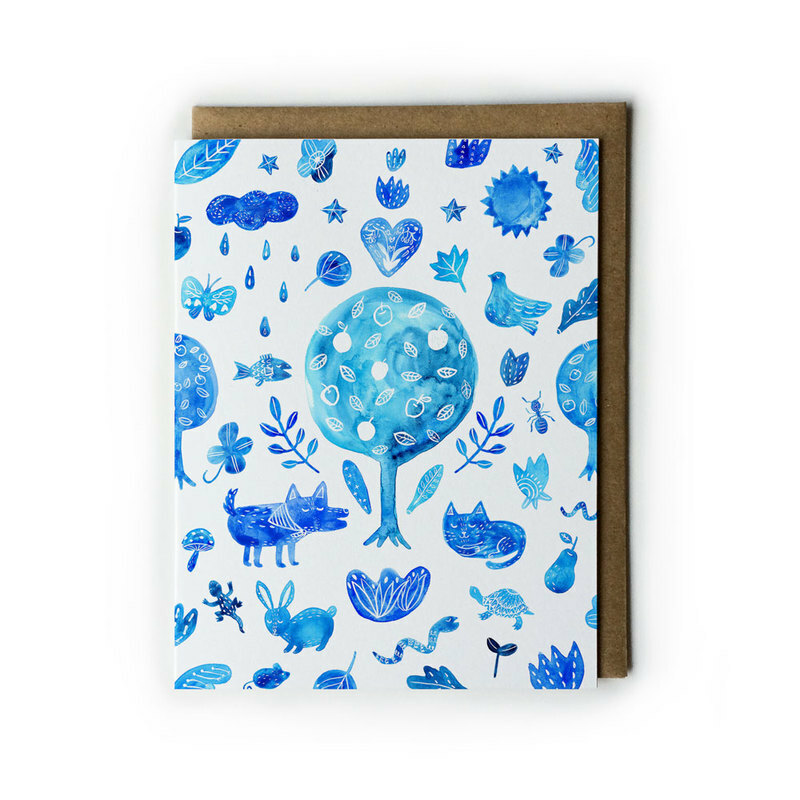 This way, you can send the card as a pet sympathy or simply enjoy the art. I named it All Things are Connected. It’s a belief that keeps me humble and grateful to be part of the earth. I know my time here is just a tiny microscopic blip in the long history of the planet, and it puts me into perspective. The apple trees in the art represent the orchard in eastern Washington where the ashes of our departed kitties lie. I smile and cry to imagine them snoozing under an apple tree and being friends with all the other pets that have left us. It’ll be coming to the shop as a print, too. My new collection will launch late January/early February 🌈 and I’ll be sharing more previews to get you excited in the coming weeks.